As ever, people tend to like to know who is blogging, who is writing, whose nonsense they are sharing on a day to day basis. I’m not going to lie, I’m slightly ego-centric, as a blog only goes to prove. Therefore I won’t pretend to not slightly enjoy this. Favourite thing in the world: Pete. And Daphne. And our house. Desert Island Dishes: Steak and Chips. Every time. Or maybe a Burger and fries. Shall we compromise with chips? Worst habit: I talk. Too much. And say the wrong thing as a result. Best habit: I’m quite a nice person. And I feed people. That’s a good trait right? Food inspiration: Everyone and every dish. 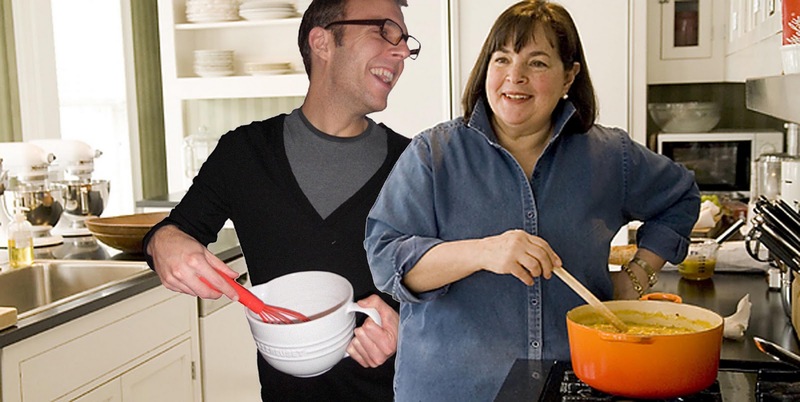 Favourite authors: I adore Ina Garten. I worship the parquet flooring she walks on. And I pray at the alter of the goddess that is Nigella Lawson. Favourite Ina recipes: Beatty’s chocolate cake. And a failsafe Mac and Cheese recipe. Favourite Nigella Recipe: Lemon Linguine. Edds mother’s meatloaf. And the Roast Rib of Beef in How to Eat? Divinity on a plate. Favourite kitchenware: My buffet casserole is in use daily. And everyone needs a good wooden spoon or 3. Favourite kitchenware designer: Emma Bridgewater’s classic and kitsch style has me a little addicted I must confess.